Andreas Athanasiou’s two-goal performance (No. 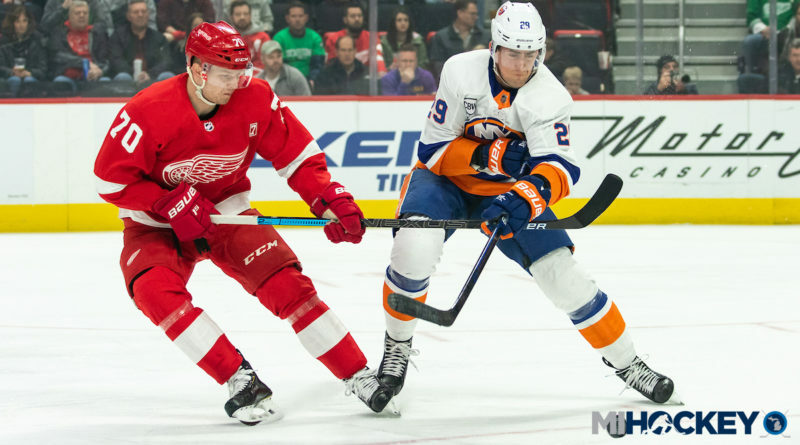 26 and 27 on the season) and Jonathan Bernier’s 41-save outing sparked a 2-1 Detroit Red Wings win over the New York Islanders on Saturday. Princeton product Ryan Kuffner made his NHL debut, while defenseman Danny DeKeyser picked up primary assists on both Athanasiou goals in the game.